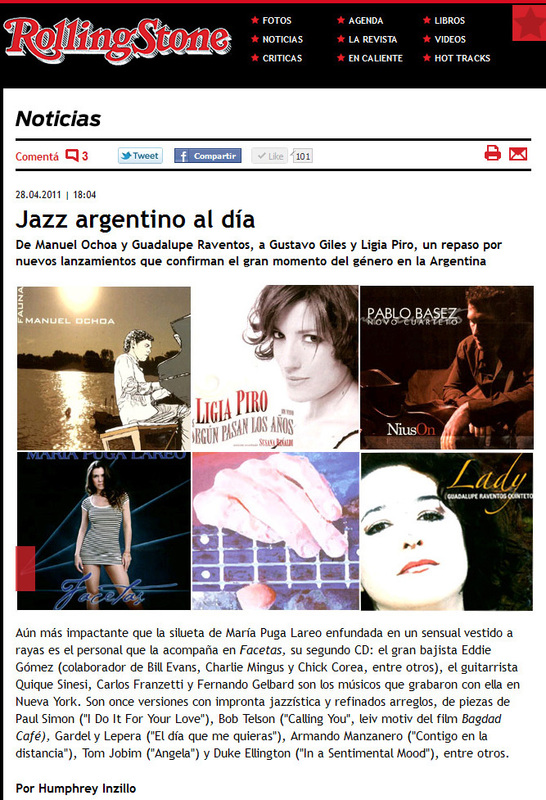 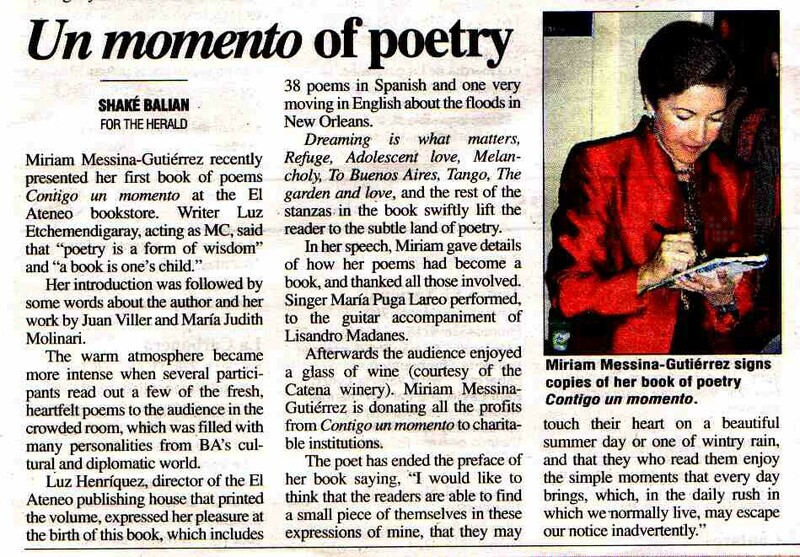 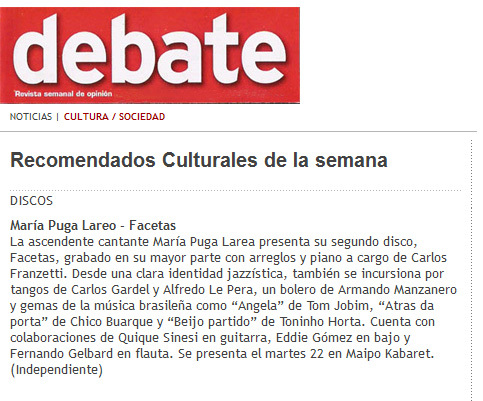 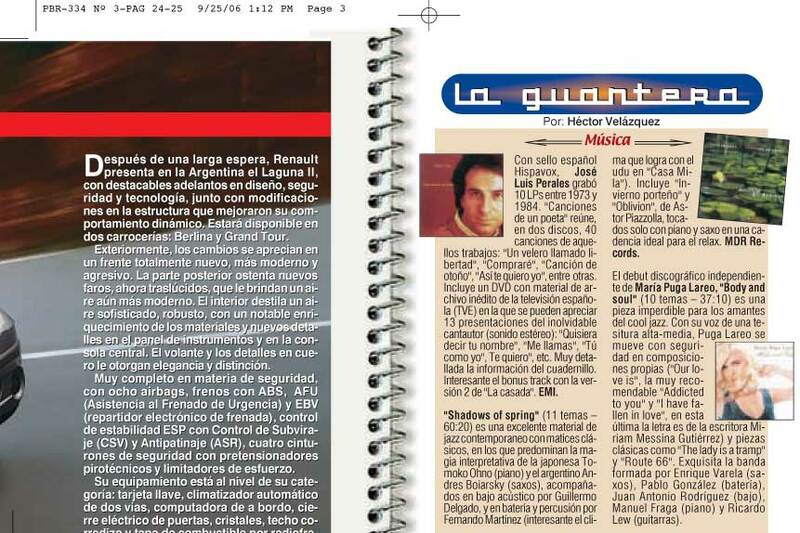 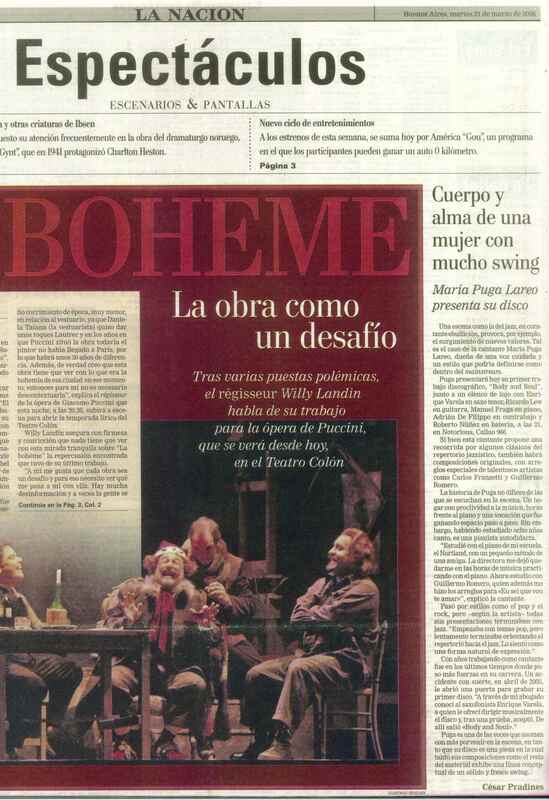 UOL Femme Musica - "Body and Soul" album review"
"a rising New York star"
"Puga Lareo in Nueva York"
"Minirrepo" on the front page ESPECTACULOS: "Nothing better than to celebrate singing" and the show was rated as "Weekend 's Recommended". 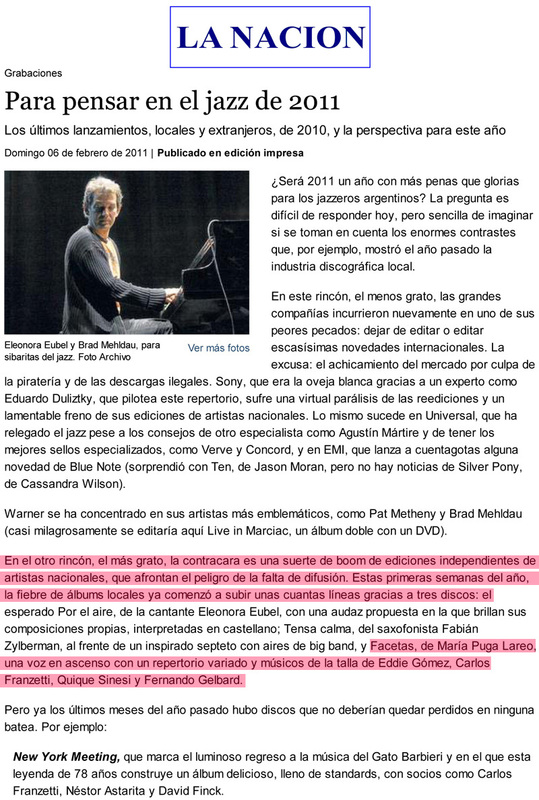 Interview by Ricardo Salton, Front Page ESPECTACULOS "Young jazz performers exceed the usual audience for this music gender"
'"Splendid. 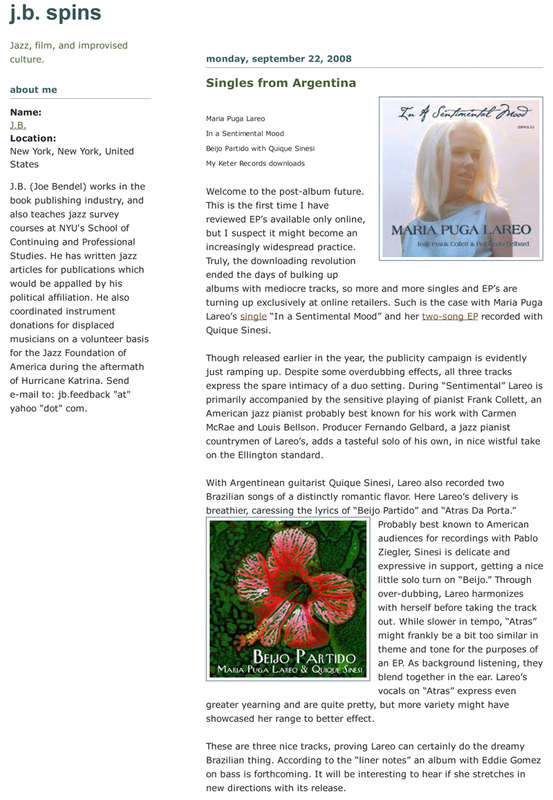 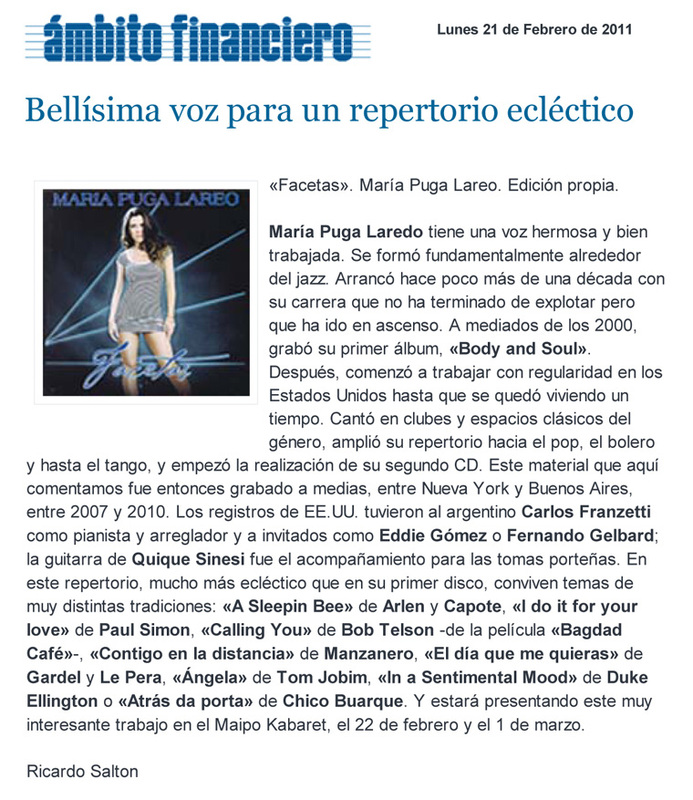 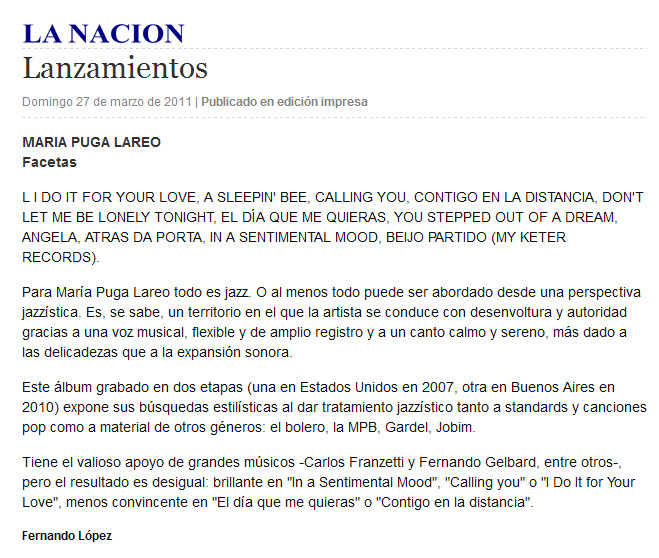 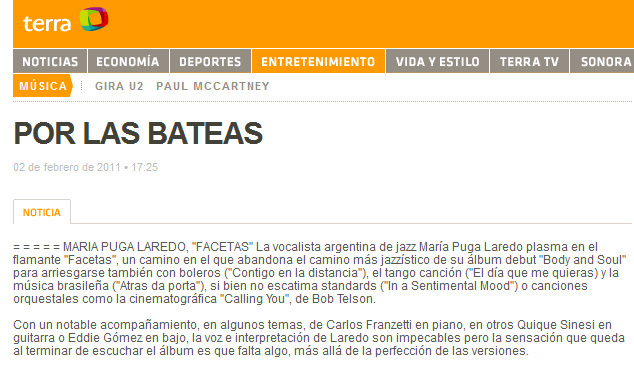 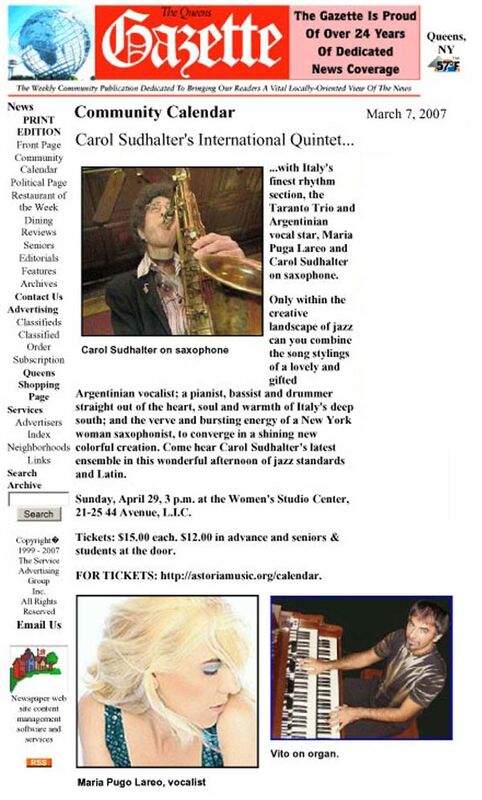 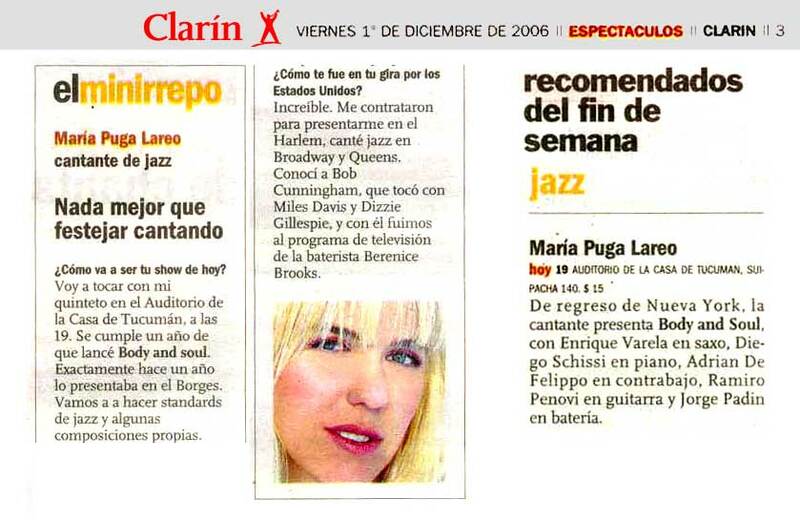 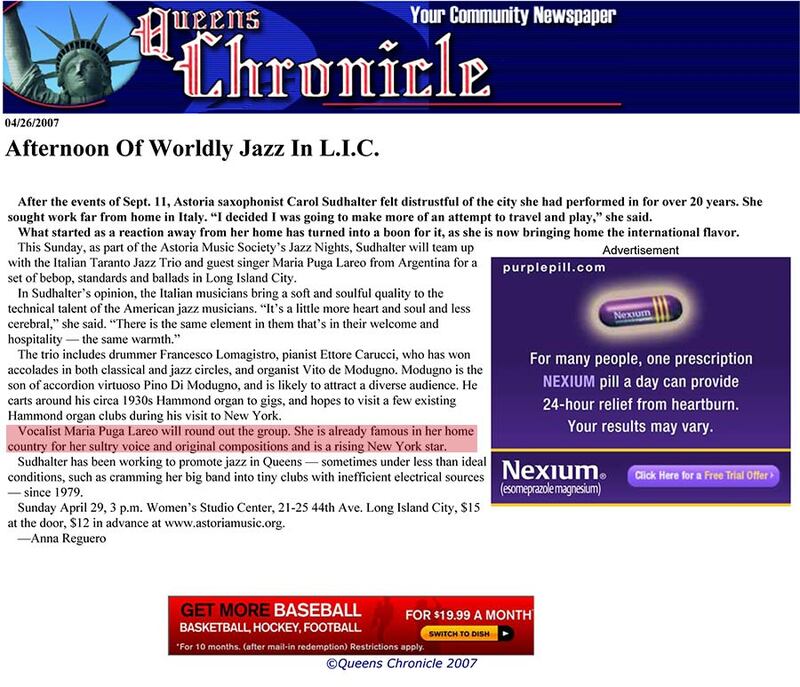 Lareo's voice and interpretation are impeccable"
"Lareo can certainly do the dreamy Brazilian thing"
'"Bob Telson: "María Puga can sing black gospel very naturally"
María Puga Lareo & Bob Telson: "Calling You "